SINGAPORE, Nov. 27, 2014 /PRNewswire/ — DHL Global Forwarding, leading provider of air, sea and road freight services in Europe and Asia, has seen increased take up for its temperature–controlled rail solution along China’s West Corridor fromChengdu to Europe. With temperatures at an average of -20C during winter, DHL Global Forwarding offers, apart from normally equipped containers for general cargo, a unique temperature-controlled solution for temperature-sensitive goods moving by rail from China to Europe, so that its cargo rail schedules run normally. In individually powered DHL containers, the temperature of goods can be maintained, tracked and modified, where necessary. Using the fastest rail connection between China and Europe, DHL’s temperature-controlled rail solution runs weekly along China’s West Corridor from Chengdu, China to DHL’s intermodal hub in Małaszewicze and Lodz,Poland. Chengdu is one of the most important distribution centers in western China given its role as a hub for the electronics, manufacturing and pharmaceutical industries and currently houses 262 Fortune 500 companies. Customers using DHL’s multimodal door-to-door solution enjoy services that are cheaper than air freight; yet is faster than ocean freight with delivery time reduced to half. This innovative solution is well-positioned to not only meet seasonal peak demands but growing demands of customers who look for reliable, cost-effective alternatives in shipping solutions. In the winter season where sub-zero temperatures are prevalent along China’s West Corridor throughKazakhstan to Europe, DHL’s temperature-controlled rail solution ensures temperature-sensitive goods are transported in optimal conditions regardless of the ambient freezing temperature. DHL’s temperature-controlled containers are individually powered and offer customers the flexibility of controlling, tracking and modifying temperatures remotely through an advanced track and trace system which also allows customers to be aware of their shipment’s precise location. DHL is the global market leader in the logistics and transportation industry and “The logistics company for the world”. DHL commits its expertise in international express, national and international parcel delivery, air and ocean freight, road and rail transportation as well as contract and e-commerce related solutions along the entire supply chain. A global network composed of more than 220 countries and territories and around 315,000 employees worldwide offers customers superior service quality and local knowledge to satisfy their shipping and supply chain requirements. DHL accepts its social responsibility by supporting environmental protection, disaster management and education. SHANGHAI, Nov. 20, 2014 /PRNewswire/ — DHL Supply Chain (DSC), the world largest contract logistics provider, today announced it will commit a further EUR 113 million (RMB 0.86 billion) in China as its strategy gains traction. This is on the back ofEUR 105 million (RMB 0.8 billion) that was committed in 2013, bringing the total committed to EUR 218 million (RMB 1.6 billion). The funds will support the expansion of its network across China and in particular, six additional state-of-the-art logistics facilities scheduled for completion by 2020. The confirmed locations are Guangzhou, Hangzhou,Wuhan, Shenyang, Shenzhen and Shanghai Waigaoqiao Free Trade Zone. DSC recently opened its state-of-the art Chengdu Logistics Centre facility in western China. Located in Xindu district, the Chengdu Logistics Centre is a key strategic investment by DHL Supply Chain to support continued economic growth in the western region. The 54,000 sqm center operates scalable, repeatable solutions for multiple customers across a broad spectrum of industries including technology, consumer and healthcare; and delivers significant synergy benefits in terms of cost, quality and performance. The new facility also acts as a multi-user cross-dock to support the effective and efficient transportation of products across the Western region. New facilities have been introduced in the Tier 1 cities of Beijing, Shanghai, Guangzhou and Shenzhen, while the roll-out of DHL Supply Chain cross-docks has been accelerated across China to allow the transfer of cargo with minimal warehousing. The world is witnessing the nascent trend of Chinese companies going global. For many, a major challenge in the globalization of their business operations is the creation of a truly lean global supply chain. DSC understands the extent of development required in Asia Pacific to support a lean global supply chain and has invested 500m Euros(RMB 3.8 billion) in the region over the last two years. This year alone, DSC added 12 new facilities, equivalent to 436,000 sqm of warehousing space and a further five more amounting to an additional 110,000sqm are planned to open in 2015. DHL is part of Deutsche Post DHL. The Group generated revenue of more than 55 billion Euros (RMB 420 billion) in 2013. SINGAPORE, Nov. 5, 2014 /PRNewswire/ — DHL Express, the world’s leading cross-border express services provider, has been awarded the prestigious Global Express Provider of the Year — Customer Choice by Payload Asia magazine for the third year running. DHL also took home the same accolade for the magazine’s inaugural Industry Choice Awards. The Customer Choice Awards saw customers and readers voting for their top-choice service providers while the winners of the Industry Choice Awards were determined by a senior level panel drawn from across the industry. DHL won on both fronts for its dedication to a customer-centric mindset, operational excellence, continuous innovation, commitment to building a sustainable future, and driving robust business growth in 2013. “To receive affirmation from both our customers and industry experts is validation of our unwavering efforts for theAsia Pacific markets. In 2013, we achieved strong business growth in this region, generating revenues of EUR4.3 billion, led by an 8.3% increase in total shipments and an 8.8% increase in Time Definite International shipments over 2012. We have also been investing heavily in infrastructure and customer-centric initiatives to enhance our network and improve service quality, all reinforcing our market leadership in Asia Pacific. In fact, our market share in the region now stands at 40%,” said Jerry Hsu, CEO, DHL Express Asia Pacific. The Global Express Provider of the Year winners for both the Customer Choice and Industry Awards are selected based on a set of criteria evaluating strength of customer and business growth, operational performance, development strategy as well as customer and product innovation. DHL’s dual wins signify a clear vote of confidence from the market that it excels in all the requirements customers are looking for in a preferred express provider and trade partner. DHL serves more than 40 countries and territories in the region. A multitude of network enhancements was rolled out in 2013. The first was an introduction of a new wide-bodied freighter flight connecting the growth economies of Taipei, Taiwan; Incheon, Korea; and Nagoya, Japan, offering customers more shipment capacity. A second enhancement saw DHL double the frequency of its wide-bodied freighter connections to Australia from two to four days per week. By optimizing its intercontinental network and routing shipments via Japan, it was able to reinforce its daily US-Australia connection, while at the same time offer additional and strategically timed daily capacity from key North Asian markets into Australia. Lastly, DHL also invested EUR22.5 million to replace its existing fleet with newer and greener vehicles, to boost handling capacity and overall efficiency. To deliver a consistent and holistic customer service experience, the DHL Global Contact Centre system was upgraded, ensuring 90% of all customer calls are picked up within 10 seconds. Through new innovative quality monitoring capabilities, service rendered by each call agent can now be evaluated, enabling continuous improvement and sharing of best practices. Results have been encouraging with the DHL Customer Service team bagging a total of 58 awards across Asia Pacific for 2013. DHL Express’ dedication to its customers is underpinned by its Insanely Customer Centric Culture (ICCC) — a mindset and way of life that all DHL employees, customer-facing or not, are encouraged to embrace. ICCC is DHL’s way of unifying its employees to work as one to put customers at the center of everything they do; by talking to them, listening to and taking action on their feedback, and ultimately making them successful. Sustainability is an integral component of DHL’s corporate strategy and “Living Responsibility” motto. The DHL GoGreen programs and services have helped DHL customers offset a total of 7.1 million kilograms of carbon emissions in Asia Pacific. Internally, DHL Express improved carbon efficiency in the region by 6%, with a key contributor being China, including the North Asia Hub, whose consolidated efficiency measures saw an improvement of 17% in carbon impact in 2013. Focusing on its customers, enhancing its network and contributing to a sustainable business environment are all part of DHL’s corporate strategy to achieve its goal of becoming the first choice express logistics provider for customers all around the world. (L-R): Ramesh Natarajan, DHL Express Singapore courier** and Sean Wall, EVP, Network Operations & Aviation, DHL Asia Pacific at the Payload Asia Awards 2014. Ramesh Natarajan is a DHL Express Singapore courier who exemplifies DHL’s values: Can-do spirit, Speed andPassion. Ramesh displayed all these traits and more in July 2014 when he helped put out a fire in a private home. He noticed flames coming from an outdoor kitchen along his route and instinctively jumped the fence to help the occupants put out the fire, all while calling out to bystanders to alert the fire department. DHL Express Singapore is extremely proud of Ramesh’s heroic actions. He was invited to the Payload Asia Awards 2014 to stand alongside Sean Wall, EVP, Network Operations & Aviation, DHL Asia Pacific, to receive the awards. SINGAPORE, Nov. 4, 2014 /PRNewswire/ — DHL Express, the world’s leading cross-border express services provider, has improved its carbon efficiency year-on-year inAsia Pacific for the 5th consecutive year despite a double-digit growth in volume of 10 per cent. Standout country performer was China with a 17 per cent improvement in CO2 efficiency followed the Philippines (15 per cent) and Australia (12 per cent). In total, Deutsche Post DHL, parent company of DHL, has now achieved a 18 percent improvement in its carbon efficiency since the GoGreen program’s baseline year 2007 and is over halfway to meeting its target of a 30 per cent CO2 efficiency improvement by 2020. In 2013, via its GoGreen-program which DPDHL provides for its customers, about 2.4 billion GoGreen shipments were sent and more than 190,000 tons of CO2 were offset. In Asia Pacific, modernizing transport fleets region-wide to employ new vehicles with cleaner technology and better fuel efficiency continues to yield CO2 success particularly in China, Vietnam, Indonesia and the Philippines. In China, DHL Express replaced 405 vehicles with Euro IV engines, while over 22 per cent of the fleet in the Philippines have been upgraded to more fuel efficient units. Campaigns to promote fuel-efficient eco-driving and better route planning continue to motivate staff and garner great support in countries such as Vietnam with its Best Fuel Saver competition and Australia’s Efficient Driving campaign. In addition to targeting all vehicles, efficiencies have also been achieved region-wide through more efficient ground operations, energy-efficient buildings, better climate-control management and new IT equipment from printers to servers. In Australia and New Zealand, an IT server consolidation program removed over 100 servers (physical & virtual) from the system. As well as reducing maintenance cost, power savings were considerable leading to a 31 per cent reduction in power in Australia’s server room, equivalent to 56,000 kilograms of CO2 per year. Among other top performers of CO2 efficiency improvement are Singapore (11 per cent), India (11 per cent), andVietnam (6 per cent). In 2012, CO2 efficiency improvement over 2011 registered 7.4 per cent across Asia Pacific with top performing countries Thailand and Australia. DHL Express Asia Pacific started the assessment of its carbon footprint from energy consumption in real estate and ground transport to measure and improve carbon efficiency through abatement programs. This program was first introduced by DHL Express in 2008 and now covers over 1,000 facilities in 27 markets across Asia-Pacific. Includes Greenhouse Gas (GHG) Protocol Scope 1 & 2 CO2 emissions on the ground, but excludes all aviation CO2 emissions. DHL is part of Deutsche Post DHL. The Group generated revenues of more than 55 billion euros in 2013. — The MARINS M series sets new standards in strategic-grade naval navigation and strengthens the iXBlue INS product range by delivering up to three times the performance of other systems. MARLY-LE-ROI, France, Oct. 27, 2014 /PRNewswire/ — iXBlue, a global leader in naval and civil navigation and positioning systems, is unveiling its new MARINS M series INS at EURONAVAL 2014, in Paris, France. The series includes the MARINS M3, M5 and M7 systems and is designed to address the needs of the world’s most advanced navies for surface-vessel and submarine operations in littoral and open-sea environments. Accurate and reliable navigation, including missile alignment, is critical to the success of submarine and surface-vessel missions. The MARINS M series raises the bar in performance and scalability by addressing the needs of surface ship navigation under a GPS-denied environment. For submarines, MARINS M7 enables three times longer autonomous stealth navigation compared with any available system by offering drifts of less than 1 Nm/72 h.
The MARINS M series represents the state of the art in strap-down, fiber-optic gyroscope (FOG) technology, and is combat ready against GNSS denial. The military-specification units output position, heading, roll, pitch, depth and velocities, and are perfectly silent. The systems are compatible with a wide range of aiding sensors and can be up and running within minutes. The extended iXBlue product range, including QUADRANS, OCTANS, PHINS and MARINS M series systems, now represents even higher scalability of solutions, from attack craft to aircraft carriers and submarines. More than 30 navies worldwide have selected the iXBlue product range, including previous generations of MARINS systems. For example, the UK Royal Navy’s has adopted advanced iXBlue solutions for its Astute Class submarines. iXBlue products are consistently selected for their overall performance, reliability and through-life cost benefits. With no moving parts or critical elements that deteriorate over time, the units offer the best available total cost of ownership. Consequently, their reliability is high and they require no maintenance. They are also compact, lightweight and power efficient, and, unlike the systems generally used in submarines, are extremely easy to integrate. With more than 30 years of experience, iXBlue is a global leader in ultimate-performance FOG navigation for naval defense applications. For further information about iXBlue naval products, including the MARINS M series, please visit the iXBlue stand (F64). HONG KONG, Oct. 22, 2014 /PRNewswire/ — Brazil is striding to make its naval and offshore industry a protagonist increasingly active on the international stage. Proof of this is the success of Marintec South America-11th Navalshore, an event that brought together, between 12th and 14th of August at the Centro de Convencoes SulAmerica, in Rio de Janeiro (RJ), a highly qualified audience of 16,536 people, formed largely by executives with decision-making power in the segment companies. During three days, the networking and business meetings moved exhibitors from more than 380 trademarks and 12 international pavilions, with representatives from 40 countries. “We have R$ 100 billion in planned deliveries until 2020 what made Brazilone of the main drivers of world shipbuilding. The challenge now is to strengthen the supply chain and the formation of manpower to meet this demand in the country. 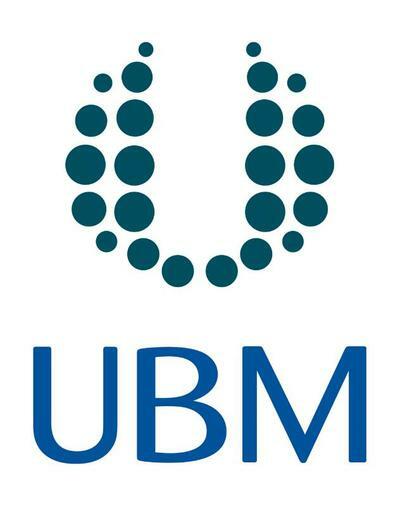 This is the mission that Marintec South America takes gathering the main players in the segment,” says Joris Van Wijk, Director-General of UBM Brazil, a company that promotes the fair. Renan Joel, event Manager, draws attention to the stable scenario, “Investments and orders of ships planned for the coming years provided stability for the yards to make plans. This positively impacted the entire productive chain, that firms business more safely, as it was possible to see in this edition of Marintec.” He highlights that 67% of exhibitors have already renewed the contracts and already guaranteed presence in the 2015 Edition of the fair, which will take place between days 11 and 13 of August at the same location. For Eduardo Vieira, CEO of the Firjan System (Federacao das Industrias do Rio), the output is to find vocations that can add value to companies and workers. “You can’t do everything. We need to prioritize and define things at which we can be better. If we focus we can expand in a million the number of jobs. We have to organize to compete and establish alliances to increase the participation of the country in the international arena,” he said. “We are optimistic. We live in a scenario in which 80% of companies have a positive Outlook and a total of 51.2% have business plans, which shows a long-term vision. The country enjoys institutional arrangements among Government, businesses and universities. It’s never been spoken so much about innovation. I believe that Brazilwill soon be one of the main players in the world,” said Jorge Boeira, Coordinator of the energy Area of the Brazilian Agency for Industrial Development (ABDI). “There is a consensus that the segment is experiencing a positive moment for 82,000 people working in the industry. It is spectacular. Now, we need to look ahead and think about international competitiveness, how we can insert Brazil on the world stage,” said Julio Bueno, Secretary of economic development, energy, industry and services of the Government of Rio de Janeiro. “We reaffirm our commitment to maintain the shipbuilding industry in the spotlight. This fair reflects the positive moment of the industry in Brazil. In addition to having 82 thousand direct workers involved, there is a supply chain that spans about 700 thousand employees. We want to enlarge the competitiveness and expansion of skilled labor,” said Ariovaldo Santana da Rocha, CEO of the National Syndicate of the Naval and Offshore building and repair industry (Sinaval). Companies – Konsberg, one of the participant companies, which completes 200 years of activity this year, found at the fair a current and a future profile of the naval segment. “One of the highlights of Marintec South America is the opportunity to see many companies, as smaller shipyards, migrating to the offshore. This is a great opportunity for Konsberg to see who’s growing and has potential. We are much interested in doing business with new players and this is provided with quality by the fair,” said Pedro Dias, Director of sales and Marketing at Konsberg. Another Exhibitor, the Brastech, brought to the Marintec its portfolio of products and services with emphasis on the rescue vessel built at the company’s shipyard in Rio das Ostras and has 73% of Local content. “The Marintec South America gives us much visibility and the opportunity to find new partners and start new projects. Furthermore we find quality suppliers that help us to cheapen our production and increase our competitiveness in the market,” said Eduardo Inacio, commercial Manager of the company. “Marintec South America is the major fair in the market, bringing all global players. It is important to highlight that here we find not only representatives of national and multinational companies, but the professionals involved directly in the projects. It is therefore the best forum to discuss solutions and find answers and information about the segment,” said Silvio Pedro Alves, manager of Metalock Brazil, another exhibitor at the event. “Marintec South America is our main fair. Here we find all the players in the industry and our clients. Because of this, we reserved the event to make our releases and announcements of new actions. We are presenting a ticket sizing software that can be accessed by the site roxtec.com/br,” highlighted Roxtec’s Marketing Manager, Michele Andrad. Visitors – “I have appeared at Marintec South America to prospect new business and, consequently, to find potential clients”, said Thais Porto, Business Development of Swift Worldwide Resources. This is the average profile of visitors who participate in the fair: professionals with high qualifications in the segment who are looking for new business partners. Another example is Amilton Couto, business analyst of Duarte Marítima. “I always visit Marintec South America and this edition was very special. I’m participating in the reactivation of a company, Duarte Marítima and started at this fair two businesses with an exhibitor that offers process management services and another that manufactures rescue vessels,” he said. The presence of international companies and representations in Marintec South America reinforces that the Brazilian shipbuilding industry scenario is calling the attention of the international market. “We enjoyed the Marintec South America to celebrate the exchange of experiences for the joint development of the two countries signed recently with the Brazilian Government. The shipbuilding industry has great importance in the consolidation of this partnership and here at the fair we found an excellent space for dialogue with representative entities and Brazilian businessmen,” said Edgardo Orteno, Secretary of industry, energy and mining of Uruguay. Japan is also with the eyes facing Brazil. “We are an entity of rating that offers viable solutions for the shipbuilding industry. Offer fuel spending reduction and efficient operations. We want to expand our participation in the Brazilian shipbuilding industry,” said Katsutoshi Nagata, manager of Nippon Kaiji Kyokai – ClassNK. Chris Wall, a business analyst from UK Trade & Investment, also puts the United Kingdom en route to Brazil’snaval industry. “We specialize in high quality marine equipment, naval architecture and repair, in addition to integrated systems and electronic navigation. We have offices in Rio de Janeiro, Recife and Porto Alegreprecisely to broaden the involvement of British companies in Brazil. This is also our goal here in this edition of Marintec South America,” he said. The neighbors Argentines believe in cooperation so that not only Brazil, but the South American countries achieve competitiveness and attract the international interest. “We want to partner not only in business, but in cooperation agreements involving innovation and technology between the Argentine and Brazilian shipbuilding,” said Juan Antonio Torresin, CEO of Astillero-service and repairs Naval Complex. Abenav and KITA (Korea International Trade Association), private organization to promote South Korean imports and exports, signed an agreement of intent whose goal is to encourage the exchange of knowledge and technology between enterprises of the shipbuilding industry of both countries and encourage the presence of corporations of that country in the Brazilian market. “The South Korean supply chain is very well organized and its technological level is internationally recognized. The Brazilian industry has much to gain from a greater integration between the two countries,” said the CEO of the Abenav, Augusto Mendonca. The General Director of KITA, Jungseok Choi, agreed with Mendonca, and was excited at the prospect of increased turnover between Brazil and South Korea, even considered the restriction of local content. “It would be a lot easier if there were no regulations and if the two countries have a free trade agreement, but the prospect is still great,” he said. According to him, South Korea owns 30% of market share of world shipbuilding industry. The banks that finance the development of the offshore and marine industry in Brazil trace a positive profile of the segment. “It is an honor and a big responsibility for Caixa to take part in Marintec South America, an event that brings together the main players and promotes a reflection on the shipbuilding industry. We have already invested R$ 5 billion and R$ 12 billion destined for projects in the industry. We have seen a very ripe market and consolidated, with a present and active corporate governance,” said regional manager of the Caixa Economica Federal in Rio de Janeiro, Rossano Macedo. A sign of stability of offshore and marine industry is the consolidation of the rules of Local content (CL) between companies working in the country. In part, this is due to the attitude of the main buyer of products and services, Petrobras. “We decided that Local content is more than a legal requirement, is the company’s strategy. The contracts are already published with specific clauses of CL, including refining and gas, which would be optional,” explained Ronaldo Martins, market development manager of Petrobras. John Rossi, General Coordinator of Oil, Gas and Naval of the Ministry of Development, Industry and Foreign Trade (MDIC), pointed out that the domestic industry must seize the positive moment. “We have a prediction of R$ 199 billion of investment between 2014 and 2018, according to BNDES data, and of this total, more than 45% of the total amount of investments into the industry. It will be a challenge for national companies to comply with the requirements of Local content,” he said. The Secretary of the Shipping and Port Industry of Bahia, Carlos Costa, and Daihatsu’s Director for South America, Toshimi Deguchi, signed an agreement of intent during the Marintec South America confirming the engine manufacturer’s interest in installing a manufacturing unit of 10 000 m² in the country. “We have every interest in bringing to Bahia a Daihatsu plant,” said the Secretary. According to the Japanese company Executive, Brazil is very representative in the clients’ portfolio of Daihatsu, but demand should be more stable. “We had good orders about four years ago, but the shopping cycle in this market is too long. We are waiting for new business,” he said. Deguchi revealed that the project of a plant in Brazilcan be made possible if the demand balances in 20 thousand engines per year. Orders of vessels and the strengthening of the shipyards in Brazil positively impacted the segment of welding in the Country. “We have big challenges such as the qualification of labor and meeting deadlines. We need to get rid of addictions and stay open to new procedures,” said the Manager of welding and cutting of the Brasa Shipyard, engineer Alexander Schwenck. Brasa has currently 300 qualified welders working and delivers this month of August the FPSO Cidade de Ilhabela, which received 13 modules in this step. “This was a great learning experience. The FPSOs Cidade de Marica and Cidade de Saquarema already show an evolution in relation to Ilhabela with 30% gain in time. This will lead us to international competitiveness,” he concluded. Marintec South America promoted in partnership with Associacao Brasileira das Empresas de Construcao Naval e Offshore (Abenav) a business round during Marintec South America. The meetings brought together companies such as EBR, Eisa, Alianca, Vard, MRM, Sao Carlos, Brasfels, Galaxy, Web and Tek Sea. “This fair is improving year by year. We had to extend the opening hours of the business round promoted, as 90 companies were listed to show their solutions in products and services for 11 anchors, being six shipyards. This shows a strength of the shipbuilding industry in the country and an even larger growth trend with learning and industry consolidation,” said Augusto Mendonca, CEO of Abenav. The growth, of offshore and marine industry in Brazil came accompanied by a decentralization of activities. Before concentrating further South and Southeast, today gains momentum in the States of North and northeast of the country. The Secretary of the shipping and port industry of Bahia, Carlos Costa, for example, is in Marintec South America in search of partners. “We already have participated in the event because of the great shipyard we have in the State with the capacity to produce ships and platforms. Now our focus is creating a polo of marine parts. We already have the area, which is adjacent to the Shipyard Paraguacu, and hope to find partners here,” he said. Attract the segment of marine parts is also the goal of the Manaus Free Zone Superintendence (Suframa), who scheduled a series of presentations in the Innovation Space, a novelty of this edition of Marintec South America. “We have more than 600 companies and the experience of dealing with companies from all over the world. We offer a series of tax breaks, such as 100% reduction of ICMS, to attract companies in the industry and boost local content,” said the Executive Secretary of Economic Planning and development of the Naval Complex, Mineral and logistics of Suframa, Ronney Peixoto. The Amazon has 80 small and medium shipyards and generates eight thousand direct and indirect jobs. The 22 thousand kilometers of navigable rivers and a strategy of bimodality with railroads and highways will boost the domestic and foreign market of potassium explored in the Amazon. The statement was made by the Secretary of mining, Geodiversity and water resources, Daniel Borges Nava, during Marintec South America. “The Navy is already updating the charts to facilitate signaling and traffic and meet with demand efficiency,” said. The mine found near the Madeira River will enter into operation in four years. “About 92% of potassium used in fertilizers industry in the country is imported and if we don’t do anything until 2019 the index may reach 100%. With the project of waterways and shafts with railroads and highways can handsets provide self-sufficiency for the Brazilian market. It is important to remember that fertilizers are part of the agribusiness supply chain, one of the vectors of our economy,” said Nava. Another initiative commented by the Secretary from Amazon was the deployment project of a multimodal system that connects the Amazon to Peru and Bolivia and, consequently, to the Pacific Ocean. “With the waterways and the link established with these countries we weren’t so dependent on the Panama Canal,” he concluded. Main strategic meeting for the offshore and marine industry in Latin America, aimed at generating business, technology, best practices and new products and services to the entire chain of the industry, the event took place from 12th to 14th of August at the Centro de Convencoes SulAmerica, in Rio de Janeiro (RJ). It was 11 thousand square meters, more than 380 exhibiting brands, 17 countries and 12 international pavilions. At the same time, Conferences were held, the launch of Innovation Space and Business Rounds. It is one of the largest companies in the world in business media. It is present in 30 countries, working to create business opportunities and visibility to businesses. SINGAPORE, Oct. 10, 2014 /PRNewswire/ — DHL, the world’s leading international logistics services provider, today received the “Sustainable Business Award” for the Large Enterprise category at the Singapore Sustainability Awards (SSA) ceremony. An annual program run by the Singapore Business Federation, SSA aims to honor the best sustainable practices and green solutions among enterprises. The winners of the Sustainable Business Awards are selected by an independent panel of key local educational institutions and government agencies. Finalists are judged based on their economic, social and environmental impacts, as well as value creation in terms of performance and innovations. Bagging this award for the Large Enterprise category is recognition of DHL’s efforts in championing sustainability in the logistics industry through its industry-leading sustainability strategy and commitment. “Living Responsibility” is DHL’s strategy in making positive contributions to society and the environment. It is focused on protecting the environment (GoGreen), delivering help (GoHelp), improving educational opportunity and employability (GoTeach), and supporting volunteering activities of its employees. In the wake of Typhoon Haiyan in 2013, a disaster response team from GoHelp was dispatched to the Philippines to provide on-site logistical support. Meanwhile, the GoTeach program has benefited schools and students in over 20 countries worldwide, including India, Indonesia, Philippines, Thailand and Vietnam.